Technology might allow some ships to leave the guns at home. That doesn’t mean they will be defenseless. The changing seascape of global piracy indicates that the technology to share and integrate information may prove to be as important for safe navigation as military support. Modern piracy is here to stay. And it’s no longer confined to the Gulf of Aden. The latest hotspot is West Africa, where the oil-rich Gulf of Guinea is seeing a spike in the number of attacks. Vulnerable areas include the waters off Nigeria, Ivory Coast, Ghana, Benin, Togo, Cameroon and Lagos. According to Arild Nodland, CEO at Bergen Risk Solutions (BRS), global piracy is changing. Somali piracy might still be the foremost threat in the minds of shipowners and operators, but a glance at the incident map will show it becoming less common. According to Nodland, the decline in Somali piracy has been achieved by containment and deterrence tactics. With piracy moving from Somalia to the Gulf of Guinea and further offshore, the pirates’ strategies are changing. “Nigerian pirates are using motherships. They are using some of the same methods as the Somalian pirates,” said Nodland. Not only is there a change in the pirates’ modus operandi, but also in their choice of targets, with kidnappings taking a backseat role. Recently, there has been a rise in the number of oil-product tanker hijackings, according to Nodland. Rather than kidnapping people, pirates hijack a tanker, steal the fuel cargo, transfer it onto a local tanker and get away with it. “It’s an enormously lucrative trade,” Nodland said. But it’s not just Africa that’s at risk. In recent years countries from India and Indonesia to Peru and the Philippines have seen vessel hijackings and armed robbery in their waters. Besides costing the shipping industry billions each year, piracy today puts the lives and wellbeing of thousands of seafarers at risk. Piracy is all about armed robbery, assault, murder and even torture. Armed guards onboard ships have proven to be an effective measure against piracy. But what about complementary e-navigation based solutions that can help seafarers to avoid confrontation entirely? Research and the use of data can go a long way towards avoiding the scourge of the seas. For Nodland, getting information out of Nigeria is a challenge, because “the oil companies and government tend to keep a lid on things. But we have an excellent network in the country that enables us to provide good data on maritime security,” he adds. 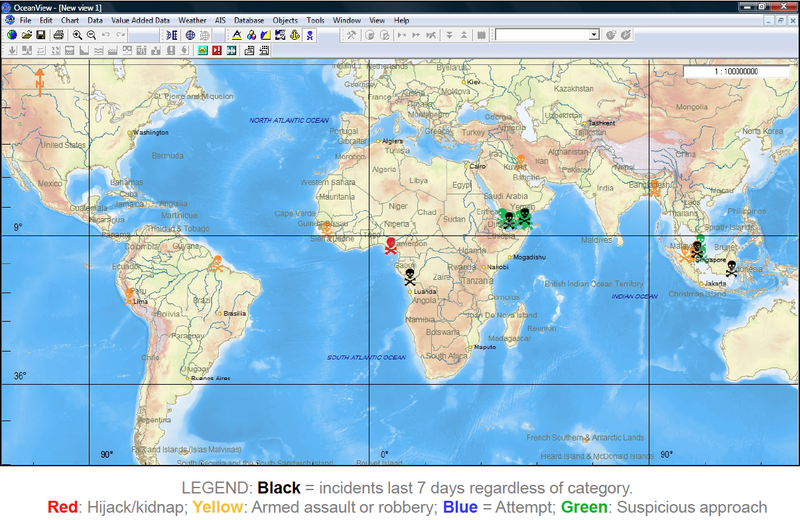 BRS uses Jeppesen’s Piracy Update software to help customers identify, understand and manage the risks associated with crime at sea. 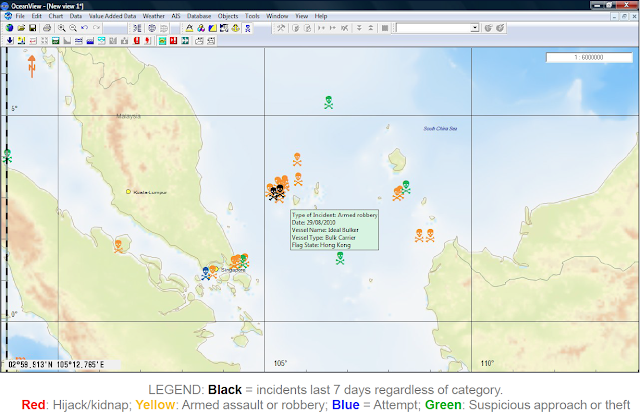 It is based on intelligence from recognized and authoritative sources on global sea piracy. BRS gathers, verifies and uploads this information five times a day during the week and once on weekends. 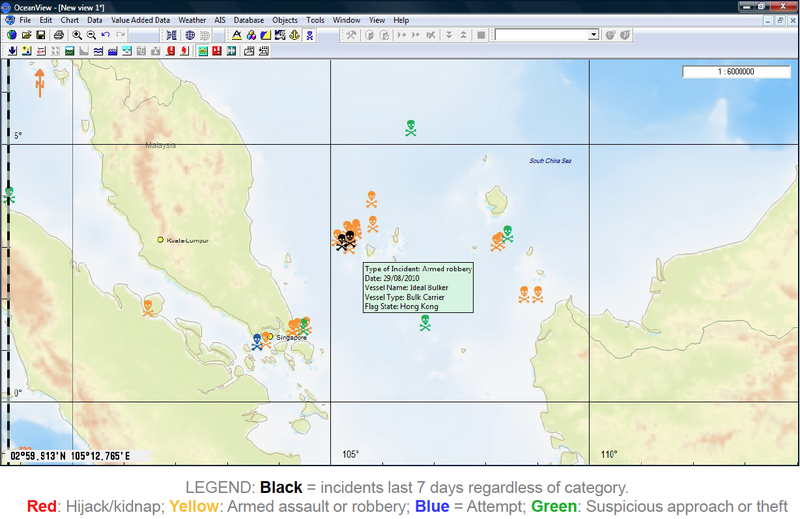 Piracy Update is used by mariners aboard vessels, as well as by owners, operators and insurers ashore. Several national navies use it too. Another feature of the software is the inclusion of weather information. This is important because pirates can’t operate in certain weather conditions. “The challenge is not lack of information but too much of it,” says Nodland. 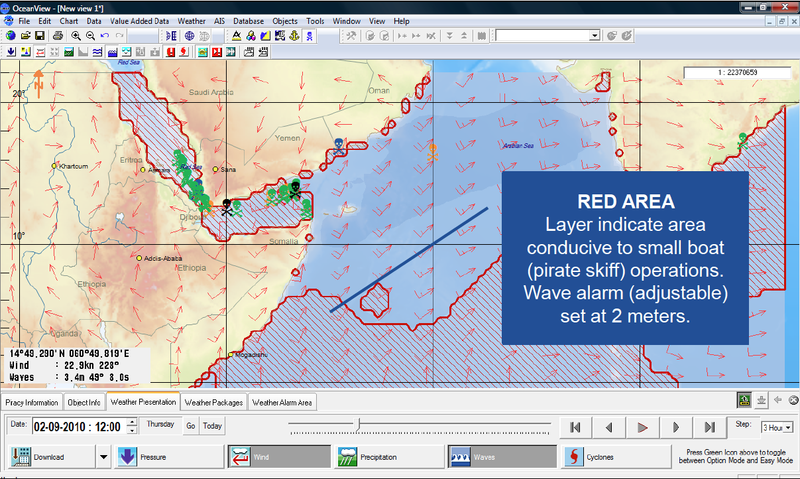 BRS uses Piracy Update every day to locate high-risk areas and to communicate this knowledge to customers. “We use it when producing risk assessments for clients with a long-term outlook, such as drilling and seismic operators – and we use it to assist clients with a much shorter term requirement, for example ships in transit in the Gulf of Aden and the Indian Ocean,” said Nodland. One example where Piracy Update helped provide valuable insight to lawyers, insurers, the owner, charterers and other parties involved, was when 14 hijackers armed with AK-47s and knives approached a 73,400-dwt Greek oil tanker on October 6, 2012. The vessel was in the region to carry out two ship-to-ship transfers off Abidjan. It had 30,000 tons of gas oil on board. Before the second operation took place, the ship switched off all lights and sailed directly south without explanation. A total of 24 Greek and Filipino crew were on board the vessel. The vessel was forced to steam southeast and then northeast towards Nigeria. Three days later the ship met a waiting vessel and the hijackers offloaded 2,600 metric tons of gasoline. The vessel was released some 50 NM east of Lagos on October 9. “Piracy Update quickly established a good overview of the geographical situation and also immediately showed us that this was an atypical attack, as it was carried out 350 nautical miles west of the pirates’ usual hunting grounds,” says Nodland. “When we plotted distances and calculated the ship’s speed from the point she was hijacked to where the pirates were likely to take her, we could also provide the owners with a rough timeframe for how long the hijacking was going to last,” said Nodland. Piracy Update is delivered by Jeppesen and integrated with its other products — electronic navigation charts, ports database, weather and wave forecasts — allowing Nodland’s team to quickly plan a safe seaborne medical evacuation, which was thankfully unnecessary. Piracy Update may not be a miracle, but it does provide a sound technology that supports a non-military approach to combating modern piracy.